Developing a desirable offer means understanding the people with whom you’re speaking. Carefully analyze your buyer personas and consider the type of information and material that would appeal to them. Once you develop the information you want to put behind a sign-up wall, advertise it on the parts of your site where you know those specific buyers are likely to venture. For example, mention it at the bottom of relevant blog posts or alongside product information geared toward specific customer groups. As with all content, your primary goal should be to provide high-value information. When visitors reach your landing page, you want to make sure the offer looks appealing on the screen. Add an image or two to help them connect with the offer. It doesn’t have to be an image of the real offer. A cartoon drawing with the name of your ebook, for example, will work just fine. Use a balanced layout and enticing language to encourage people to sign up. Once you’ve attracted visitors to your sign-up page, the last thing you want to do is scare them off by making the process too drawn out or complicated. Make sure the form itself doesn’t look too intimidating. The amount of information requested should be comparable to the offer you’re providing. If it’s just a basic ebook, you should only ask for basic information. If you ask for too much, people will get turned off and click away. If you’re interested in learning more about how to entice leads, contact us today. We’d love to help you with your marketing campaign. When you send direct mail, mention your blog to let people know it’s there for them to read and comment on. Highlight some of the recent topics you’ve covered to entice them even further. Social media is an excellent tool for promoting a blog and connecting with page visitors. Use your social media accounts to promote your blog posts among your followers. Invite conversations on social media about subjects you’ve covered in your blog as a way of keeping your social channels active and engaged. A successful marketing campaign means reaching out to prospective buyers on a variety of platforms so they get to know your brand and how you can serve them. 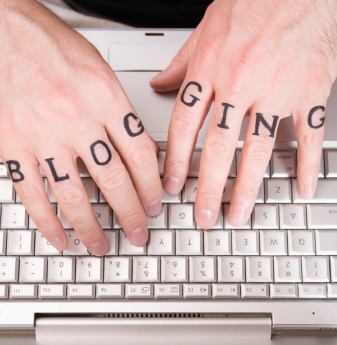 Your blog can be a fantastic tool for accomplishing this goal. If you’re still debating the merits of starting a company blog, consider the benefits it will bring to your integrated campaigns. If you’d like assistance getting a campaign off the ground, let us know. We’d be happy to help you with your marketing. Many factors go into the decision about where to attend college. While majors, location, and ranking undoubtedly hold a high place, the experience of other students and the school’s reputation also play a crucial role. Schools must strike a careful balance between providing a rigorous academic environment, while at the same time offering an enjoyable experience that will make students talk about their school in a positive way to other prospective students. Successful professionals who have ‘made it’ in their respective fields eagerly voice their support for their alma mater. What they don’t realize, though, is the importance of employee satisfaction when it comes to the customer experience. Think about the last time you heard someone complain about the company where they work. How did those complaints impact your perception of the company? Chances are, that negative feedback made you feel worse about the brand in question — and less likely to turn to them when you need products or services in their industry. Treating your employees well can help boost their satisfaction and improve how they represent your company to the general public. Remember that your employees are the face of your brand. That means you need to select them — and treat them — with that goal in mind. Cultivating a great employee culture is a wonderful way to improve your brand’s reputation from the inside out. Most recording artists want to sell as many records as possible. That’s only natural, after all. So they focus on promoting albums and use concerts as a way to advertise their music. Some of the more iconic bands, however, have taken the opposite tack. They place their primary focus on entertaining their fans. They want to provide an “experience” that encourages fans to spread their music and enjoy what they have to offer. Album sales grow naturally as the word spreads and more and more people are drawn to them. That’s the same idea behind successful inbound marketing. It all starts with the experience. Great content draws customers to your sites and pages. Once there, you engage them, encourage them to spread your information, and watch your sales increase as your brand reach grows. Success didn’t come overnight for most iconic bands. They had to tour constantly, often for years, spreading their music gradually from town to town and venue to venue. Their sound evolved naturally during that time, as they strove to meet their fans’ demands for entertainment. Eventually, they were able to reap the benefits of their dedication. Once again, the same holds true with social marketing. When you begin using a digital marketing strategy, you have to be willing to give your efforts time before you begin to see a strong return. You have to regularly produce quality content that will bring people back and encourage them to become fans. 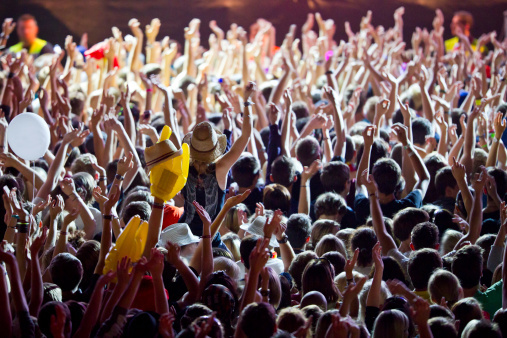 You need to hone your voice and get to know your audience. Other websites need to find your content and begin linking to it. 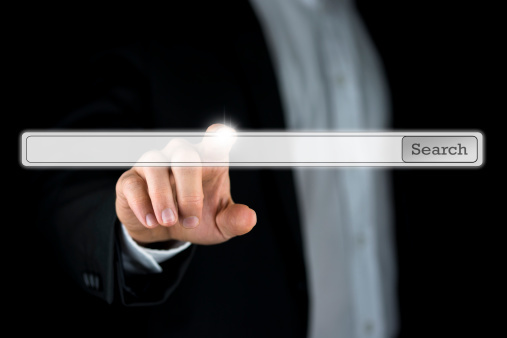 Search engines have to recognize your value as your popularity begins to rise. In time, you’ll begin to see positive returns for your effort, but only if you continuously produce high-quality, valuable content. Of course, all the marketing in the world wouldn’t have helped these bands grow if they didn’t have something unique and worthwhile to share. They created incredible music that people love to listen to. For your marketing efforts to be successful, you have to be able to show your potential audience that you’re worth their attention, too. That means developing your own voice, creating new ideas, and building on your strengths within your niche. You want to stand out against the crowd and give people a reason to return to you again and again. The next time you sit down to enjoy the music of your favorite artist or band, pause and consider the incredible marketing lessons these musicians have to share. If you’re ready to start taking your marketing campaign to the next level, let us know how we can help. Sound far fetched? It probably is. After all, who would show such little interest in helping their friend succeed? Yet, for many companies, that’s precisely the attitude they take with their marketing content. We’re all turning more and more online to learn about products and make intelligent and informed buying decisions. In response to this trend, many companies broadcast themselves as the expert and want people to turn to them. Their content, however, is far less than helpful. Rather than actually answer industry questions or help customers learn about their products, these companies simply repackage the same general information found elsewhere online and remain vague about the advice they give. They’re afraid that by ‘giving away’ too much information, customers will not have a reason to hire them. In the process, they’re missing a key part of the marketing puzzle: building trust. Instead of giving customers a reason to hire them, they’re driving them away in frustration over the lack of information they provide. Potential customers end up visiting competitors’ websites and getting the information they seek there instead. The unhelpful content meant to entice customers actually destroys opportunities to build trust and credibility. The solution to this problem is straightforward: provide valuable content. Listen to the questions that customers ask and use them to generate blog posts. Write helpful articles that will actually inform the reader and guide them in making better decisions. Use the Internet to build a reputation as an approachable leader in the industry. Consumers today want answers and help navigating your industry. Like a student seeking help in a school subject, these customers aren’t going to stick around someone who just tells them general information they already know. To convert your customers, you need to be the helpful authority. As managers, we all strive to develop an atmosphere of success and teamwork. When you can develop a culture that respects those in your office and encourages success, you’ll notice many immediate benefits. Workers will become more motivated. Employees will feel valued and know the role they play in the success of the greater organization. They’ll also feel more confident handling day-to-day situations and solving problems. You’ll be able to spend your time more productively, too, by not having to handle issues your employees now feel confident dealing with on their own. When your employees feel valued and content, the impact can stretch far beyond the office walls. 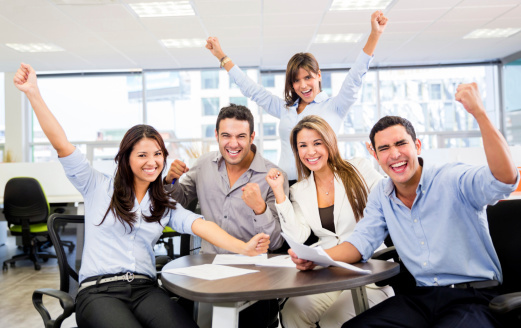 Happy employees present a more enthusiastic and helpful face for your brand to potential customers. Your company’s reputation for caring for its employees and its customers will spread. Referrals will grow, and your marketing efforts will have a greater impact. In short, this type of fantastic company culture can help the bottom line. So how do you achieve this type of business-friendly dynamic in your office? Building a fantastic company culture begins during the hiring process. Make hires based on two main factors: skills and how well the candidate will fit with the culture you’ve created or are trying to create. Many companies focus solely on finding the person with the best qualifications, without taking into account how well that person will fit in with the rest of the team. Ask questions during the interview that speak to the values you seek. When you’ve found a candidate that appears to work well, consider having them do a trial project with your team to see how well they get along. Educate and empower your employees so they feel confident taking control of their interactions with customers. Teach them how to delight customers not by just telling them or giving presentations, but through examples and demonstrations. Build a culture that focuses on under-promising and then exceeding customers expectations at every turn. Teach employees to focus on solving problems for their customers. Develop concrete buyer personas that employees understand completely, so they can quickly gauge what customers seek when they speak with them. At the same time, empower your employees. Let them know they’re trusted and responsible for solving problems and finding new ways to help their customers. Have clear guidelines about when employees should ask for help and when they need to come up with their own solutions. This will help employees better assist customers and solve their problems. Customers will be happier knowing they’re speaking with someone who can actually do something, rather than just relay messages. Creating a positive culture and work environment does more than make your organization a great place to work. It can also help boost marketing efforts and improve the bottom line. 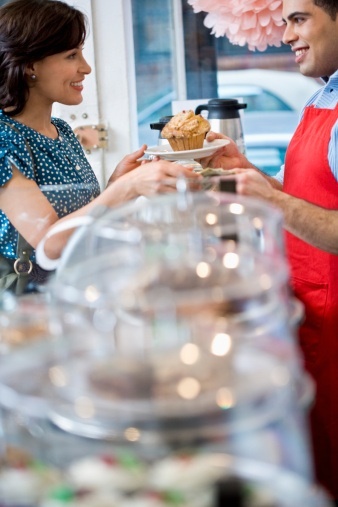 By helping your employees, you’re improving the face of the brand your customers see. You might be amazed at the impact it can have on your efforts.